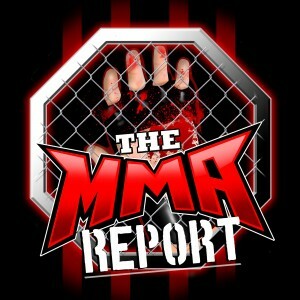 On this edition of The MMA Report Podcast, Jason and Daniel touch on all things MMA including some new details on Bellator/DAZN streaming deal, two recent Dana White Tuesday Night Contender Series winners testing positive for marijuana metabolites, plus you will hear interviews with Alex Hernandez, Chito Vera and Greg Rebello. At the start of the show, Jason talks about being in Nashville last weekend and then tells you some details he has learned about the Bellator streaming deal with DAZN in relation to Bellator international events. If you are a fan of Bellator, you will want to hear what Jason was told this week about the upcoming Bellator event in Israel. Up next, Jason tells you about recent Dana White Tuesday Night Contender Series winners Anthony Hernandez and Jordan Williams testing positive for marijuana metabolites during an in-competition drug test. Jason and Daniel discuss the threshold for what’s considered a failed test for marijuana with the Nevada Athletic Commission and how they both hope the Nevada commission hands down a light suspension. Then they get into what happened at last week’s Bellator 204 and PFL 6. On the Bellator front, they discuss the dominating victory by Darrion Caldwell against Noad Lahat and the knockout victory by Ricky Bandejas over James Gallagher. On the PFL side of things, they talk about the victory by Kayla Harrison, what’s next for her, and the standings in the welterweight tournament. Next is the interview portion of this week’s podcast as you will hear Jason’s recent conversations with Alex Hernandez, Chito Vera and Greg Rebello. 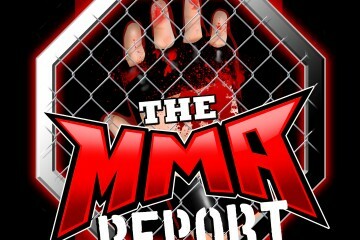 Hernandez comes on the podcast to recap his recent victory against Olivier Aubin-Mercier, if he’s interested in a matchup against Islam Makhachev and why he’s more active on Instagram then Twitter. Then it’s on to the conversation with Vera, who recaps his recent victory at UFC 227 and explains who he’s interested in fighting next. And in the final interview, Rebello comes on to explain why he decided to end his retirement and when he would like his next fight to take place. Following the interviews, Jason and Daniel preview Saturday’s UFC Fight Night 135 and explain what’s drawing them to the television set on Saturday night. Along with explaining why they will be watching, they go through the entire fight card and discuss various aspects of the fights. Then they wrap up this week’s podcast by discussing the ticket sales for UFC 229 and have their weekly Buy/Sell segment.